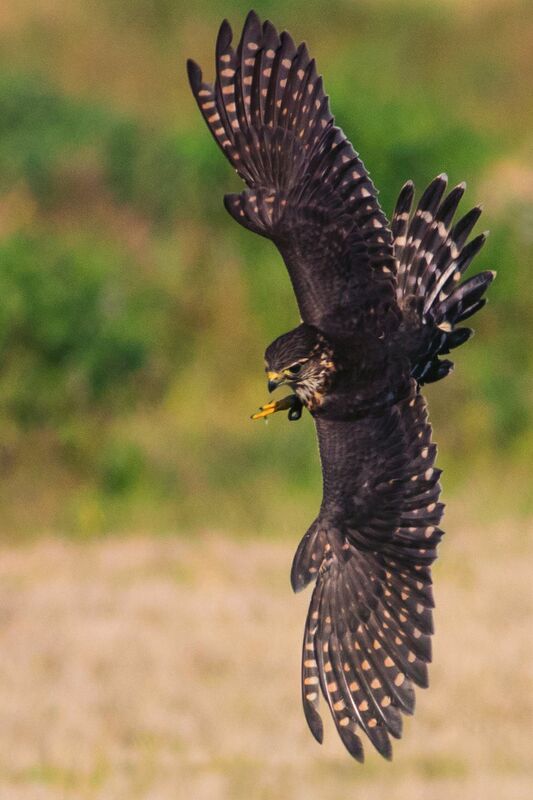 The merlin falcon, historically called the "ladies hawk", is a small long wing that makes an excellent falconry bird. The merlin is an aerial flyer with a taste of avian quarry. Commonly flown on sparrow, starling, snipe, and even quail the merlin is a very diverse hunter. They also show multiple flight styles. Merlins are capable of ringing flights, tail chases from loose or perched locations, and can by flown on marked or un-marked quarry. Although the common consensus is that it can be difficult to recondition a merlin to a new hunting style, however the merlin mans down in a super calm manner. Merlins love their air time, you'll often (and sometimes to your frustration) find the merlin on first release enjoying the flight time just cruising around, enjoying the sun and possibly even taking a bath mid hunt. Picture to the left courtesy of Rob Conohan of a merlin putting on the finishing moves. Notice the bird is flown jess-less, this is becoming more prevalent in merlin falconry but is still less seen than in red-tails. The ringing flight is often considered the pinnacle of merlin falconry when able to be pursued. 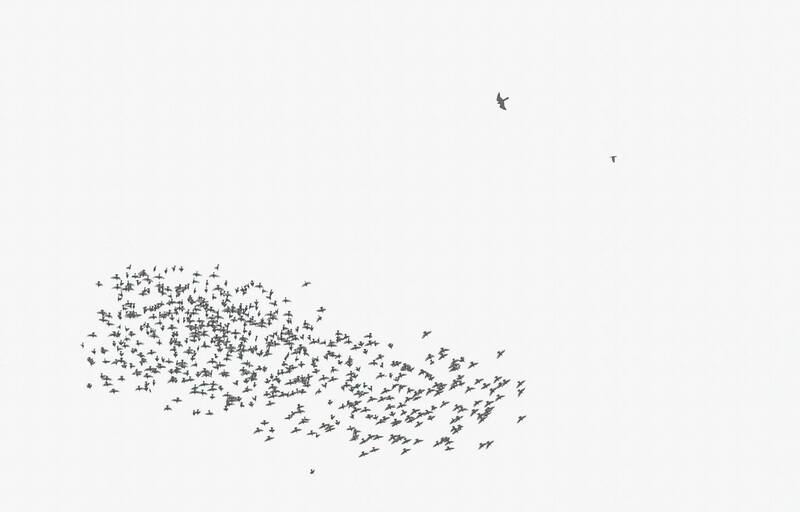 The merlin is often left to its own devices and simply shown a flock of quarry. 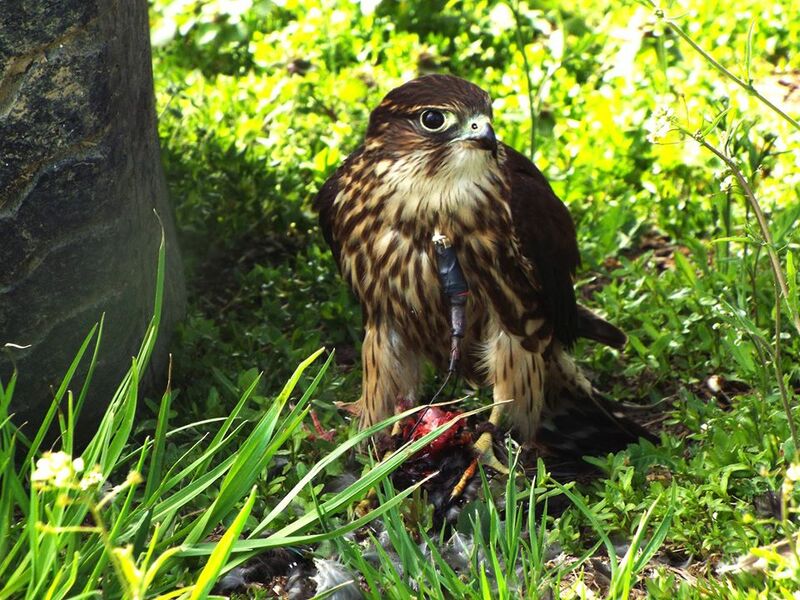 The merlin puts the puzzle together on its own and limited falconer involvement is needed. Picture to the left is of a passage bird after catching a starling. Flown by Cam Keaster, formerly of NY and now a PA transplant.